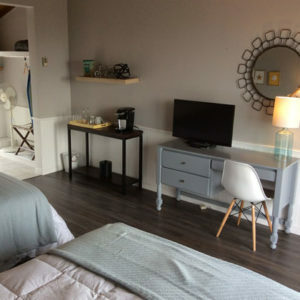 Newly renovated & upgraded Cape Breton accommodations! 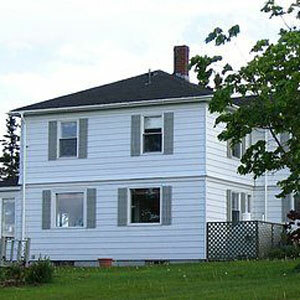 Situated alongside the beautiful Bras d’Or Lake, we are centrally located, & close to all of the Islands attractions. The Grand Narrows Hotel (circa 1887) has 6 bedrooms, 5 bathrooms, large kitchen, large dining room, 3 large entertainment rooms and 2 full length verandahs overlooking the beautiful Bras d’Or Lakes. Our location on a large beachfront property ensures guests can enjoy swimming in the clean, crystal waters of Bras d’Or, the largest and most beautiful salt-water lake in the world. Stroll down a quiet country road that hugs the shoreline where two natural marshes provide shelter to abundant birds and other wildlife. Eagles soar overhead as you relax on the large front verandah overlooking the water, watching the sunset over Iona in breathtaking colors. 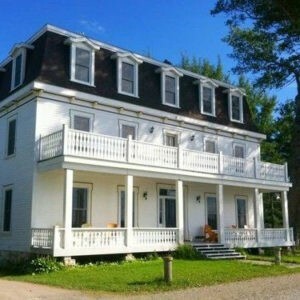 A quiet country B & B – a special place – overlooking the Bras d’Or Lakes, Cape Breton’s inland sea! Formerly a convent, Hector’s Arm is centrally located for all Cape Breton attractions and is just minutes from the Nova Scotia Highland Village. Our B & B consists of four elegantly furnished rooms, a sitting room and a dining room serving a full breakfast from 7-9am. We have 3 rooms (double, queen, king) sharing one 4pc bath and powder room as well as one ensuite with private bath and sitting room. No pets please. 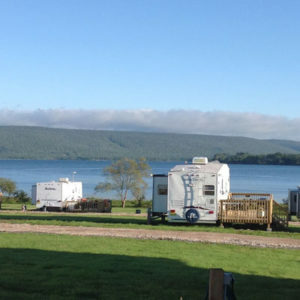 It is an idyllic setting in which to sit, relax, and enjoy the tranquility of the area and the breath-taking beauty of the Bras d’Or Lakes. Time-Out Campground & RV Park is developed over 20 acres of land and 1000 feet of water frontage on the pristine Whycocomagh Bay. Location and breathtaking view will be a visit to remember for all who stay. Centrally located, visitors can experience sport fishing in the area, visit our Island’s famous Cabot Trail, take part in our history and culture at the Highland Village Museum, Eskasoni Cultural Journeys & Alexander Graham Bell National Historic Site. Challenge yourself at a local hiking trail, try a water sport such as kayaking, take part in an afternoon Ceilidh, or drive to one of many look offs that will leave you wanting more.